As we have covered here before, clinical trials are indispensable to scientific and medical advancement. They allow researchers to test out new medical innovations and collect data on safety and effectiveness based on participant outcome. These trials are the final steps in a long research process and help to produce the best data available for health care decision-making. Clinical trials exist to impact people’s lives and social media is a tool to help accomplish that. Aside from your website, your social profiles represent you to the world and connect you to your audience. 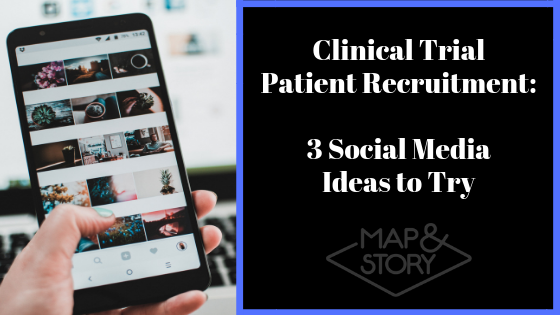 Keeping your content fresh and learn to use your social media in new ways is important for recruiting patients to your clinical trial. Don’t feel the need to overdo it – your content is not required to play into whatever the latest internet trend is (which can feel daunting or overwhelming). Your content should, however, be engaging, interesting and pull your audience in. People seeking the help of a clinical study are living with stress and frustration of their condition. Bringing fun and creative content to the mix is a breath of fresh air and makes everything seem less cold and impersonal. Memes are one of the most popular pieces of content in today’s social media landscape. A memes is a (typically) funny image, video, piece of text that is originally from another source and altered to fit the humor and interest of one’s audience. With the low attention spans of today’s audiences and the high amounts of content being published each day, engagement is something you may need to fight for. Posts that feature an image, such as a meme, garner significantly higher levels of engagement and are excellent at grabbing attention. Keep it funny and inoffensive and watch that engagements rack up! Video on social media is nothing new but it still remains one of the most effective pieces of marketing content being used in strategies today. Audiences retain 95% of a message when they watch it in a video compared to 10% when reading it in text. The best part is that video is feasible for any brand – that clinical studies. Try educating people about the patient process and the study itself or sharing some patient stories. You have a story to tell and an audience out there that wants to hear it. Engagement is the practice of providing convenient access to information and communication to deliver the best possible experience. People who are interested in clinical studies come to social media sites to educate themselves and to find communities. Social profiles provide patients with a space to rally around others who share similar concerns and goals. This sense of community make both currently and potential patients feel more comfortable and at ease. Ask questions or propose some other call to action. Post a funny meme or an informational video! The goal is to build repartee, trust and relationships with your audience. The goal for a successful clinical trial marketing campaign is the marriage of narrative and strategy. You already have your narrative (the study, the physicians, the patients…). Your next step is creating social media around your narrative that draws people in. Try one (or all!) of the three tips above and you are on your way to upping your patient recruitment!